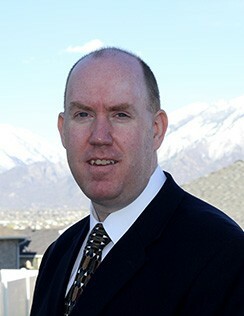 David Lynn Wariner, 44, returned with honor to our Father in Heaven on April 10, 2019 at his home in Riverton, Utah surrounded by family. He courageously fought stage IV Colon Cancer for 2.5 years. We are grateful for the time we were able to spend with him. Born December 26, 1974 to Lynn Raymond and Idonna Millett Wariner in Farmington, New Mexico. David attended high school in Bloomfield, New Mexico. He served a mission for the Church of Jesus Christ of Latter Day Saints in Tulsa, Oklahoma. He married his beautiful wife Lisa Daniels in the Salt Lake Temple in 1997. David and Lisa have three wonderful children: Brad, Victoria and Tiffany. He was a faithful member of the church and had many church callings, including Cub Scout Master, Webelos Leader, Stake Technology Specialist, Nursery Leader, and Home Teacher. David’s career consisted of Software Development, IT administration, and mobile DJ-ing weddings and other events. He had many hobbies, including DJ-ing, collecting 80’s music, photography, videography, muscle cars (especially Mustangs), and website design. He was a technology guru and was continuously improving the efficiency of everything. David enjoyed water skiing, weight lifting, marching band and riding bullet bikes. David loved spending time with his family visiting Disneyland, canoeing, Dj-ing, and singing karaoke. We will miss him dearly. David is survived by his loving wife, Lisa; children Brad, Victoria, and Tiffany; parents Lynn and Idonna; siblings Lynette (Mitch), Raymond (Chris), Cathleen (the late Kevin), Sheila (Jason), Melissa (Shane), and many friends and relatives. He was preceded in death by grandparents Cecil Lynn Wariner, Dwight Alfred and Gladys Millett, and brother-in-law Kevin McCary. Funeral Services will be held at 10 a.m. Tuesday, April 16 at Summerhill Stake Center, 12110 South 1300 West, Riverton, Utah. Viewings Monday April 15 from 6-8 pm and 9 am Tuesday. Interment will be at the Elysian Burial Gardens 1075 East 4580 South Millcreek, Utah. Compassionate services provided by Parkway Ward Relief Society. Special thanks to ward and neighborhood members for all their support during this difficult time. In lieu of flowers, please consider a donation to help with funeral expenses.